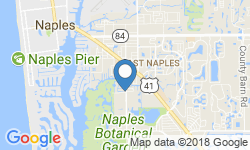 Pocket Cruiser Charters is based in Naples, Florida. 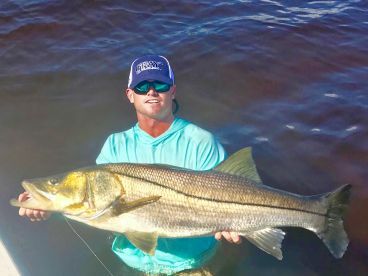 Its waters are one of the best places to wet a line, and Captain George will make sure his guests not only land the fish of their dreams but also have a memorable day out. You will be fishing aboard a 15’ Boston Whaler, powered by a new 60 HP Mercury engine and with a maximum speed of 25 knots. 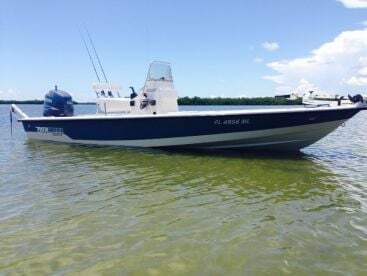 The vessel can comfortably accommodate up to 2 anglers for a dry ride. 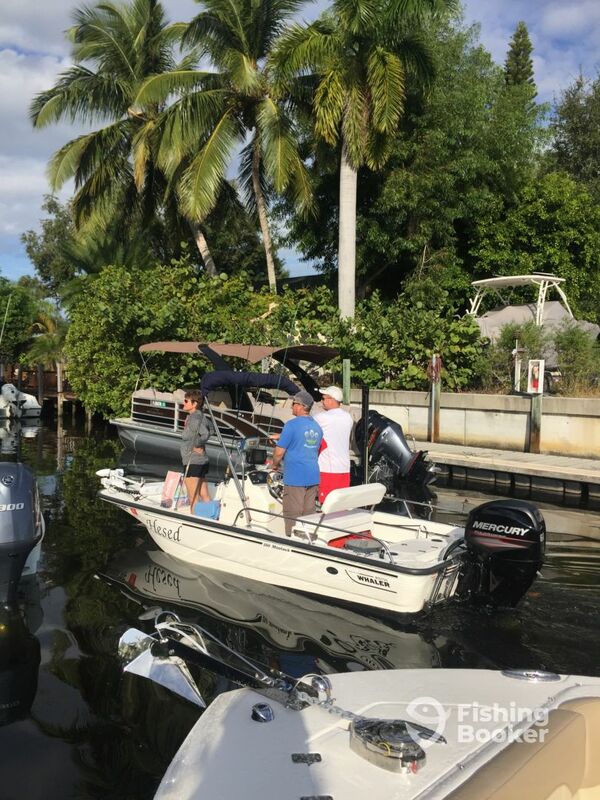 It is equipped with all the necessary navigational electronics, including a GPS, a fish finder, and a VHF radio, as well as a live bait tank, an anchoring motor to make sure the boat stays where you want it to, and an icebox to store your refreshments. 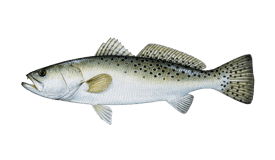 Depending on the season and your personal preferences, you can choose whether you want to stay inshore, nearshore or fish the flats and backcountry. 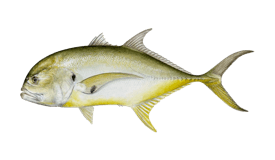 You will be targeting Redfish, Jack Crevalle, Snook, Trout, King Mackerel, and Mangrove Snapper. 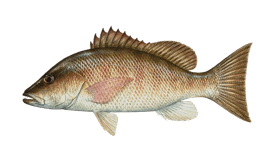 Captain’s preferred fishing techniques vary from fly fishing and jigging to spinning, drift fishing, light tackle, and trolling. 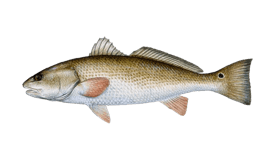 Your trip will include your fishing licenses, rods, reels, tackle, lures, live bait, and fly fishing equipment. Don’t forget to bring your snacks and drinks. 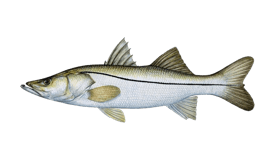 Once caught, your fish can be cleaned by the Captain for an additional charge. 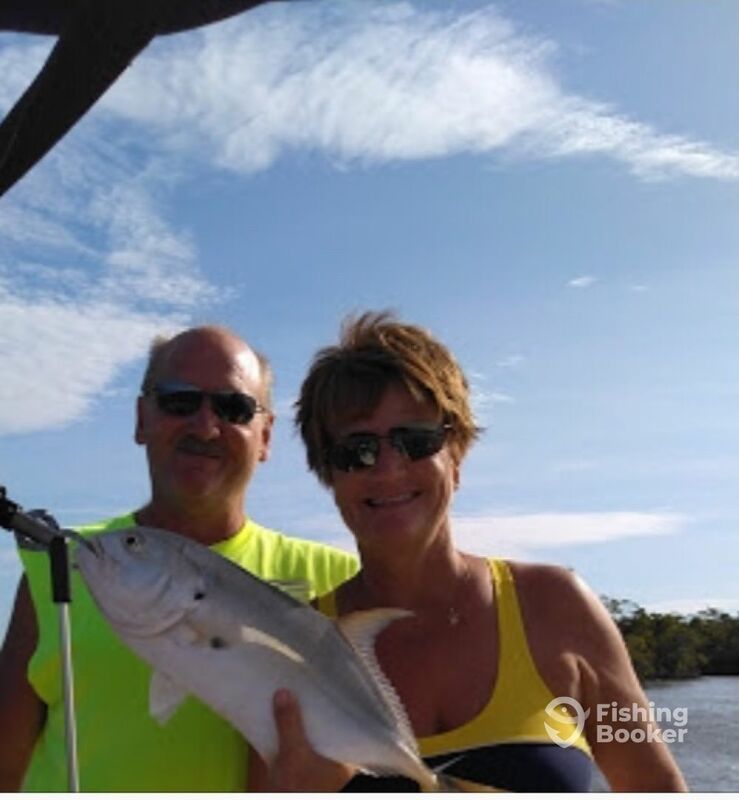 Pocket Cruiser Charters and their Captain George will provide you everything to meet your fishing needs. 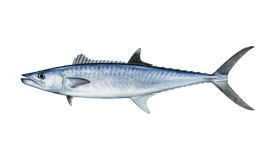 This trip will see you fishing the intracoastal waters or Rookery Bay if the weather does not permit to travel out in the Gulf. 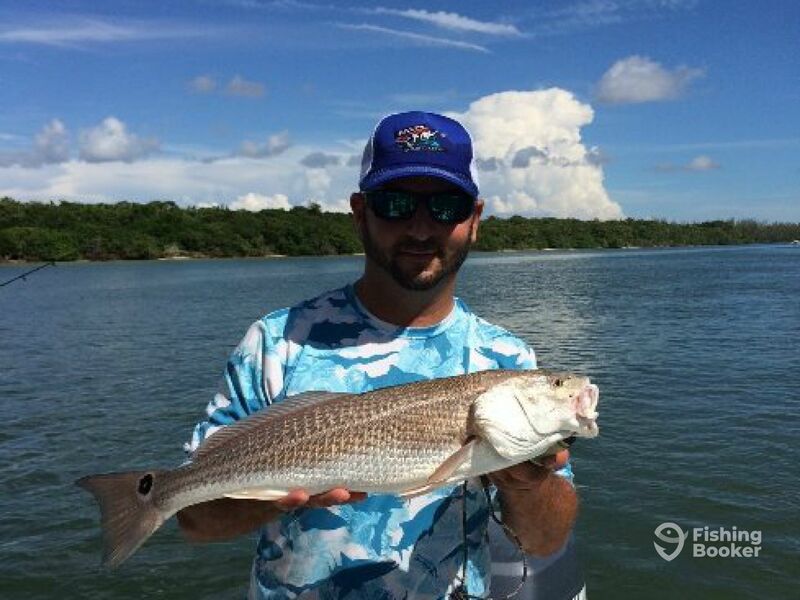 Captain George will get you to the fishing grounds fast and will make sure you have a fun day out. This package is ideal for any angler! Boston Whaler (Center console) originally built in 2016. Powered by a 60HP 2016 Mercury engine, with a maximum cruising speed of 25 knots. Captain George Ronnestrand is a passionate anger with over 25 years of experience. George is a former owner of Holcombe Tackle, Inc. Musky Buster Lures and served on several Muskie Inc. Boards. 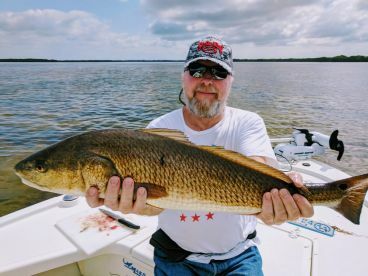 For the past six years, he has been fishing inshore and nearshore waters of Southwest Florida and has also been Muskie fishing on Lake Holcombe in Wisconsin. 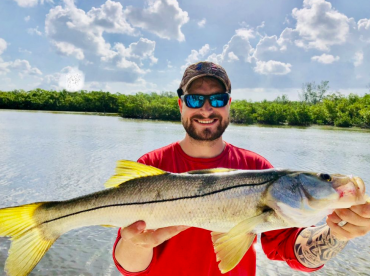 Captain George enjoys in shore fishing, fly fishing when the opportunity presents itself, as well as trolling, casting for Snook and Jacks, and fishing the passes. Capt. George even surprised us with jerky & sausage. It was a blast and we caught several different species of fish. My son’s first time out with a charter and it was a memory maker! Great day on the water! Capt. George even surprised us with jerky & sausage. It was a blast and we caught several different species of fish. My son’s first time out with a charter and it was a memory maker! Cold and windy but sunny. To bad water and wind where cold. Might be better next time.